Type C Bearing Pad is designed to meet the requirements of BS EN1337 Parts 3, 8 and those of the British Department of Transport. 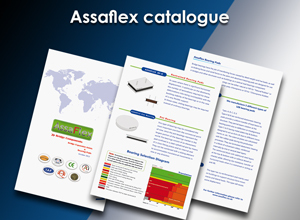 They are manufactured to international quality standards. Elastomeric bearings with two external plates and threaded holes for use on metal structures, or as an anti-lift device; in this latter case, suitable anchor bars must be fitted to the bearings for anchoring purposes. 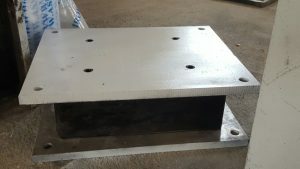 Elastomeric bearings with external plates and pins that connect to suitable steel plates in order to secure the bearing to the structure. Elastomeric bearings with two suitably etched external plates to facilitate the bearing's bonding to the structure by way of vulcanisation.